More than 300 executives gathered for the Nashville Health Care Council's annual "Financing the Deal" panel discussion to hear firsthand perspectives from investment experts on the state of the market and the outlook for funding various sectors of the healthcare industry. The panel was moderated by Tom Wylly, senior partner, Brentwood Capital Advisors; and included Diane M. Daych, partner, Apple Tree Partners; Grant Jackson, managing general partner, Council Capital; Todd Sisitsky, managing partner, Capital Business and co-head of Healthcare Services, TPG; and Mark D. Taber, managing partner, Great Hill Partners. Topics central to the discussion were quality and quantity of deals in the current market, paths to successful exits, and outlook for the rest of 2017. The panelists noted that, regardless of the debates in D.C., healthcare continues to shift from volume- to value-based care reimbursement, and investment strategies would largely continue in the same direction no matter what ultimately happens with the Affordable Care Act. However, Daych pointed out that it is important to meet payers where they are and noted that many payers aren't yet equipped for value-based reimbursement. 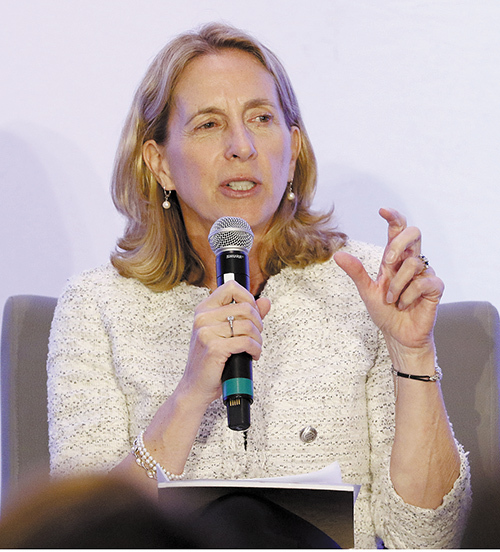 "That is the direction, but it is important to be flexible and make sure the business model can manage under both fee-for-service and value-based reimbursement models," she said. The panelists mentioned several sectors - particularly behavioral health, addiction therapy and EHR support technology - as areas with plenty of growth potential. Now that 90 percent of providers have made the switch to EHRs and have taken advantage of meaningful use, the focus is shifting to helping providers become more efficient in the use of this technology. "A model that addresses the consumer and increases transparency and efficiency is on the right track," Sisitsky said. "We are looking for companies that are value-added partners to existing providers - not competition to health systems, but effective partners." Daych noted, "Sectors that touch the aging population, such as dermatology, ophthalmology, GI and care management platforms for community-based frail elders, are poised for growth." "More than anything, we look for companies that are on the right side of change in healthcare, and those that we can specifically help grow with our relationships," Jackson said. Panel members made note of Nashville's significant concentration of healthcare companies and the benefits of collaboration within the industry through the city's network. The city is home to more than 800 companies working in the healthcare sector and serves as headquarters to 18 publicly traded healthcare companies. "I have been working in Nashville since 2002, and it's amazing to see the growth that has happened in that time. Nashville has always been a healthcare town, but it has grown into a tech hub, as well. I could fill a week just meeting with interesting companies. The city's unique culture of collaboration is one-of-a-kind," Taber said. "Nashville is home to an extraordinary group of healthcare innovators," Sisitsky added. "The leaders here have a lot to teach us about healthcare, and I hope it is the people here, rather than those in Washington, who chart the course for the future of the industry." Jackson, the only panelist based in Nashville, explained, "Nashville has a unique mix of can-do attitude and a practical, get-things-done approach. A high proportion of businesses are successful here because of that attitude and the spirit of collaboration."